Houston Texans defensive standout Jadeveon Clowney was paid a bonus of $1.005 million on the penultimate day of the 2018 regular season as part of a resolution over a dispute of which position he should have been listed as playing under his fifth-year option, a source told ESPN. 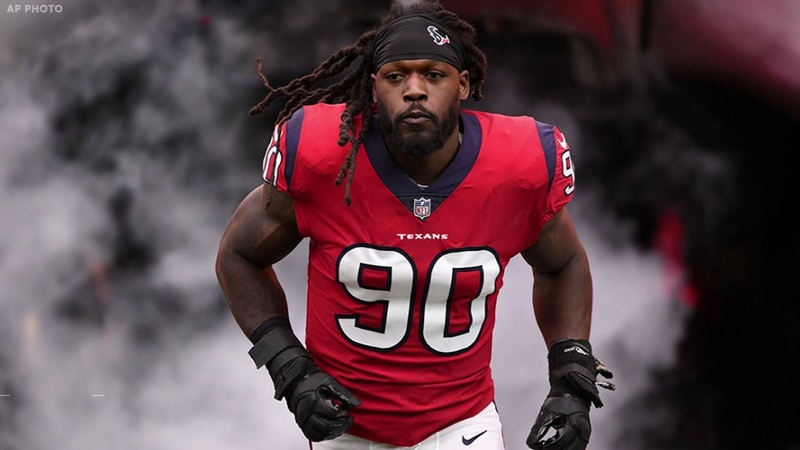 Although it is unclear specifically how the resolution was reached, Clowney likely contended he should have been designated as a defensive end and not a linebacker, as a defensive end on the fifth-year option was entitled to larger total pay in 2018. The net result of the resolution was that Clowney’s 2018 compensation escalated from $12.306 million to $13.311 million. The first overall pick in the 2014 NFL draft finished the season with nine sacks and is now scheduled to hit free agency. The position designation could loom once again, with Houston expected to consider the franchise tag for Clowney this offseason. Like the fifth-year option, the franchise tag designation involves positional value. Clowney is used in a variety of ways in Houston’s defense, which makes it harder to pin him at one single position, a concern players and agents of players who are used in a versatile role have previously been mindful of. The settlement allowed Houston and Clowney to meet in the middle for now.